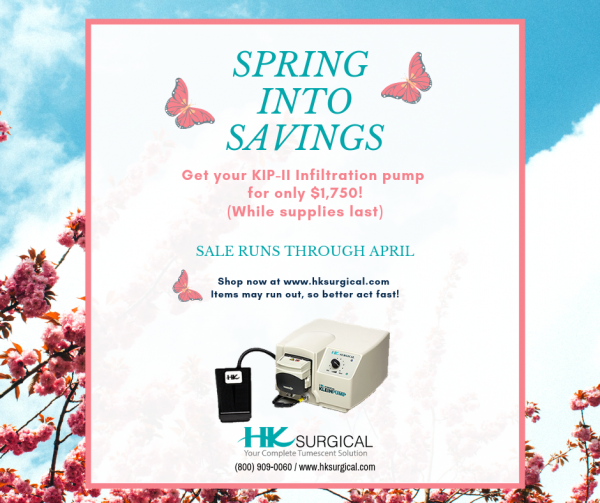 The HK Klein Infiltration Pump has revolutionized tumescent anesthesia infiltration and provides vascular surgeons with a new and effective method of delivery. The Klein Pump is reliable and efficient in reducing physician’s infiltrating time. HK Surgical offers a wide selection of products that can be used in conjunction with multiple procedures in general surgery. HK Surgical carries a variety of disposable products used for infiltration and aspiration. HK Surgical offers a wide variety of products that are used in various cosmetic procedures. Surgeons find our micro-cannulas to be ideal for procedures such as, local tumescent anesthesia infiltration, liposuction aspiration and fat transfer. is an intensive introduction to the “KleinLipo” tumescent liposuction technique using local anesthesia, an ideal office surgical procedure. The three day liposuction training course, is limited to 12 physicians, and is taught by Jeffrey Klein, M.D., the inventor the KleinLipo technique of tumescent liposuction.